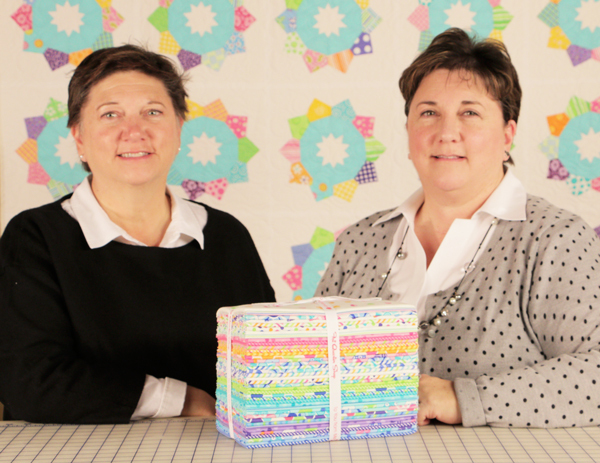 Barb and Mary from Me and My Sister Designs are back in the studio with another Makin' It Cute tutorial focused on - you guessed it, Valentine's Day! 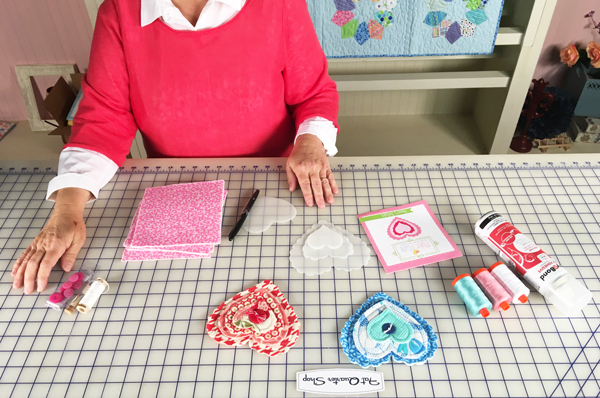 Wear your heart on your sleeve (or your purse, desk, or front door) with this easy-to-make craft! 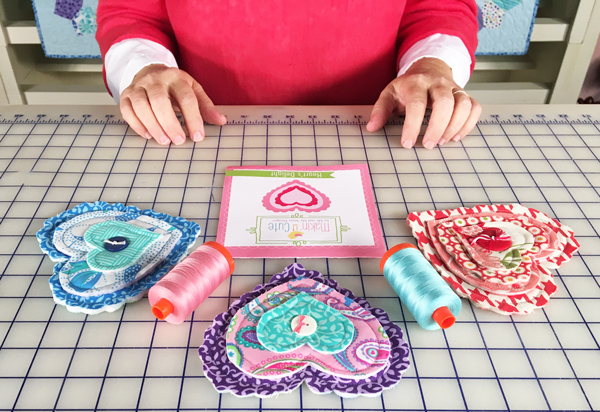 These little hearts are completely custom and can be used to decorate anything your heart desires! Are you ready to sew along with us? 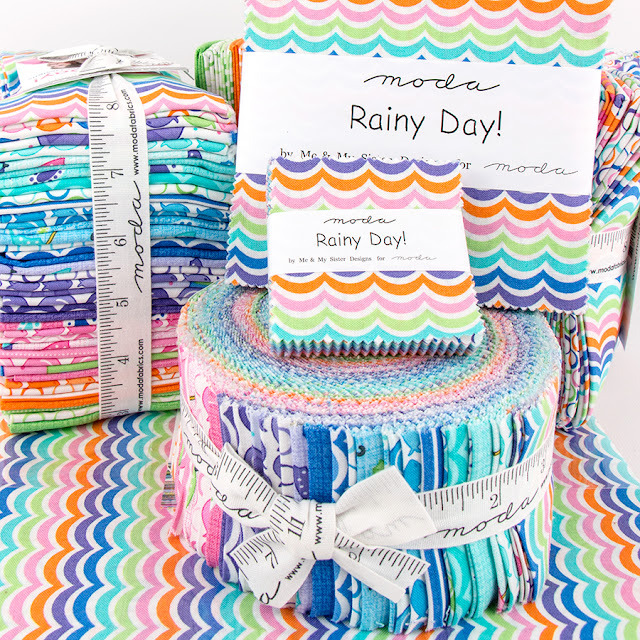 We're going to use the brand new Rainy Day collection by Me & My Sister Designs! This collection is sure to bring a smile to your Valentine's face, no matter what the weather man has in store! Contest closed! Congratulation to our winner Alesha!